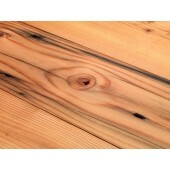 Douglas fir paneling has a classic, warm look. It's a versatile product that can be used to enhance walls or ceilings. And, while it's typically thought of as good for achieving a rustic cabin look, clear vertical grain paneling can look quite contemporary and glamorous. 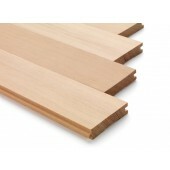 Whether it's beaded, beveled or square-edge you want, AltruFir can provide it. 3 1/8" Douglas Fir Bead Board from standard vertical grain material. Flip it and it's bead board paneling. Two products for the price of one! 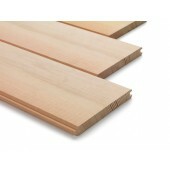 5 1/8" Douglas Fir Bead Board from standard vertical grain material. Flip it and it's v-groove paneling! Two products for the price of one. 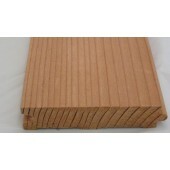 5 1/8" Douglas Fir Bead Board from standard vertical grain material. Flip it and it's bead board paneling. Two products for the price of one! This product is ideal for ceilings and walls. 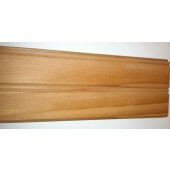 3 1/8" Douglas Fir Paneling is a popular product for ceiling and wall paneling. 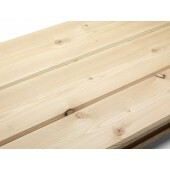 This product is produced from vertical grain (VG) Douglas Fir. This product has a square edge. 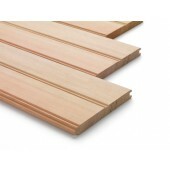 5 1/8" Douglas Fir Paneling is a popular product for ceiling and wall paneling. 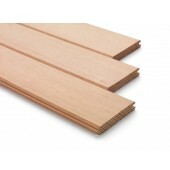 This product is produced from vertical grain (VG) Douglas Fir. This product has a square edge. AltruFir's Reclaimed Douglas Fir Flooring is perfect for the project where you want the old look made from the old stuff. We produce this paneling from antique Douglas Fir beams reclaimed from large industrial projects throughout the Pacific Northwest. We offer both CVG and mixed grain. For CVG pricing, please call us. If you don't see the size you're looking for give us a call and we can probably help you out.